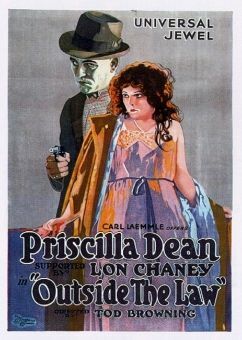 Popular Universal star Priscilla Dean teamed for the second time with director Tod Browning in 1918's Brazen Beauty (the first of their many collaborations was the profitable The Deciding Kiss) Dean plays a Montana rancher who heads to New York when she inherits her late father's millions. The snooty Manhattan socialites treat the brash, uninhibited Dean rather badly. Still, she is determined to become one of the "400"-at least until she falls in love with unpretentious Thurston Hall. The Brazen Beauty was based on The Magnificent Jacala, a French novelette by Louise Winter. The 5-reel film was one of seven pictures directed by Tod Browning in 1918.